Stories of Math - Graphs, Fractions, Multiplication and Animals! 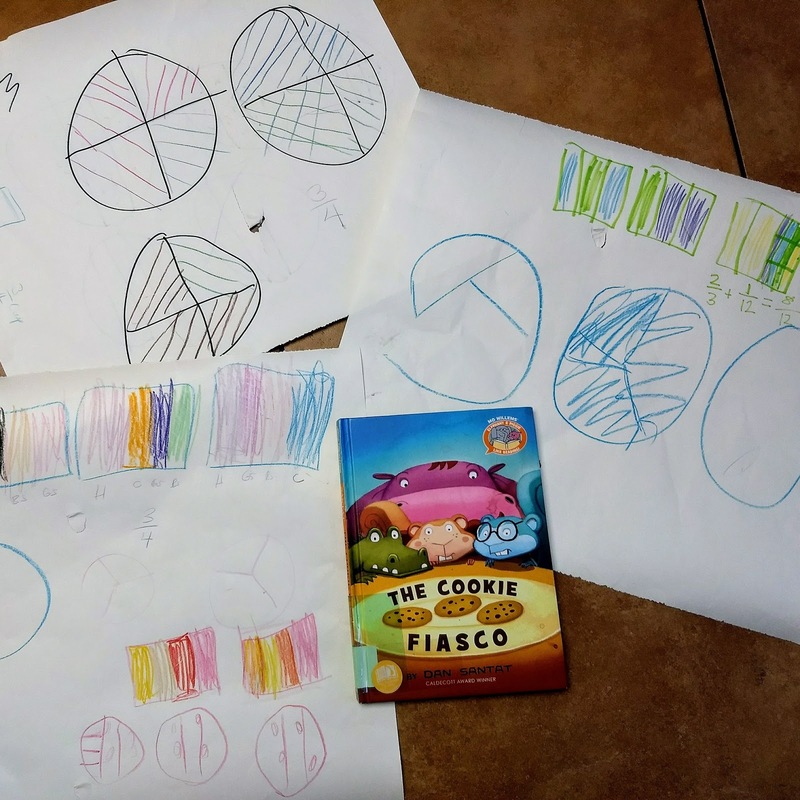 Here are some favorite picture books we have been sharing as a family that play with math! Disclosure: This post may contain Amazon affiliate links. Your purchase via these links helps support my blog. 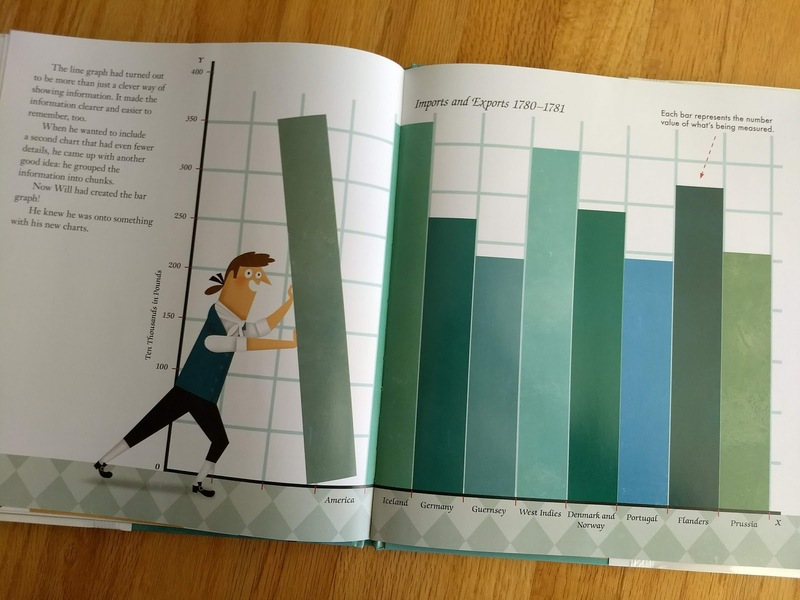 Imagine a world without line graphs, bar graphs, or pie graphs! 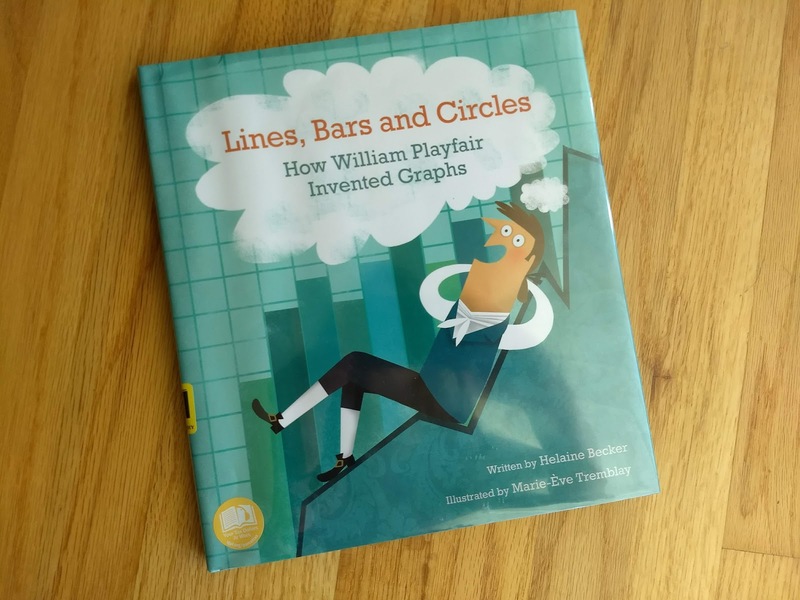 This book is about William Playfair, the man behind those "pictures." It's a colorful story as he was a bit of a rapscallion (the endnotes make it clear he was even more scandalous than the picture book text lets on), a free thinker whose ideas were not taken seriously in part because of his poor reputation, in part because only numbers were considered scientific. It's hard to believe these now ubiquitous graphs did not catch on until around 1900. This was a lively read with engaging and silly illustrations that kept my 6yo interested. 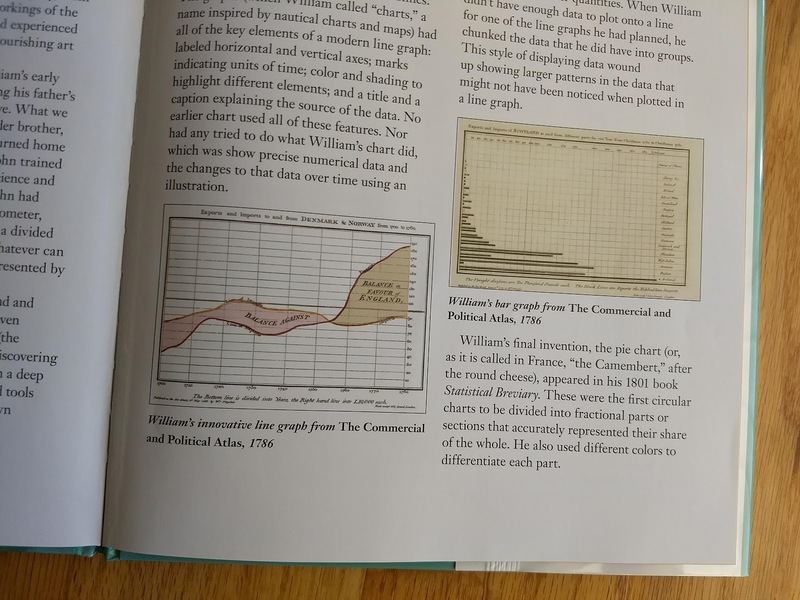 I loved the reproductions of his actual original graphs in the endnotes (see photo above). Math and animals! 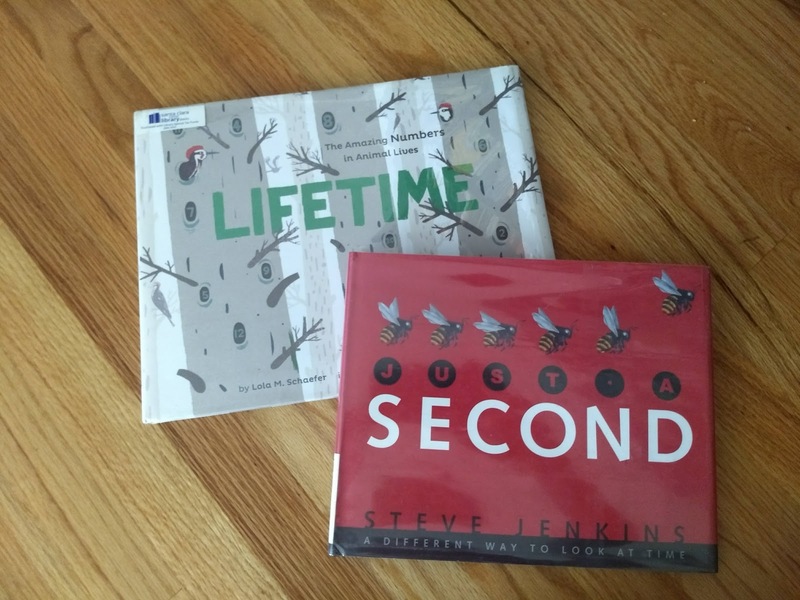 We loved both of these books that explore time and numbers via the amazing lives of animals. 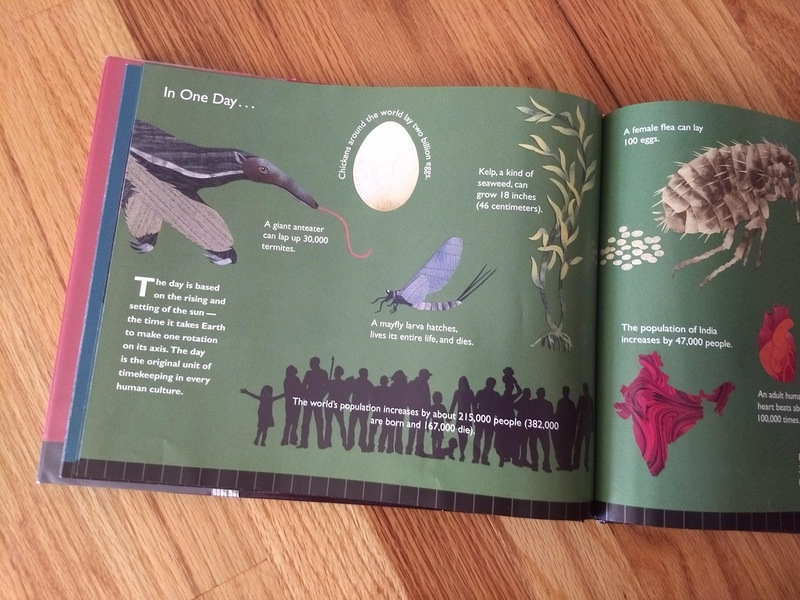 Steve Jenkins is one of my favorite authors/illustrators of picture books about animals. Multiplication, measurement, and moguls. This clever and humorous picture book was my son's favorite read-aloud this week! The King's Chessboard tells the traditional Indian tale of a wise man who, as his reward, requests that the King give him one grain of rice for the first square of the chessboard and on subsequent days double the amount of the previous day's amount until all the squares of the chessboard are covered. When it becomes too cumbersome to count the grains of rice, the Official Grainery worker switches to ounces, then pounds, then tons. 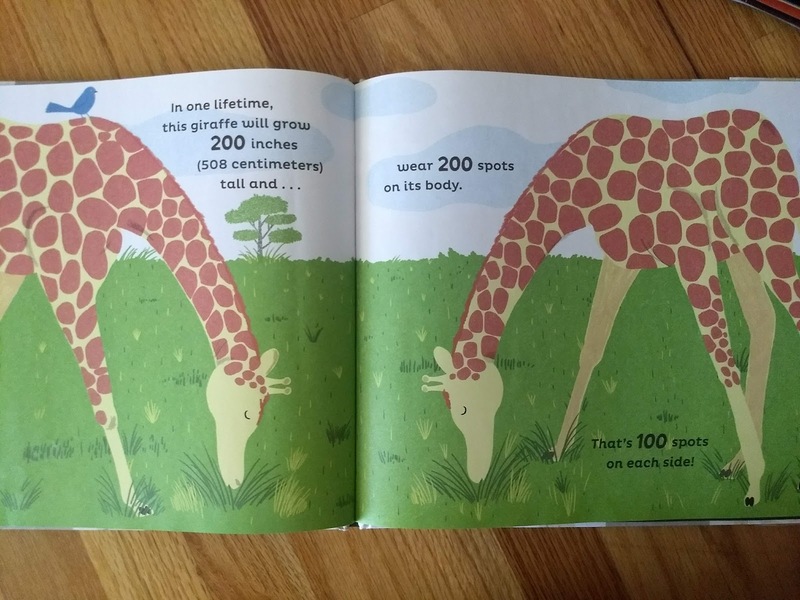 Reading this story introduces your child to the world of multiplication, very large numbers, and measurement. The amounts quickly become ridiculous, which kids love. When one official calculated the amount due a week later, my son exclaimed, "That's more rice than the entire country of India produces in a year!" We stopped and predicted three times how much rice the King would have to give on the last day. Afterwards my son and I used a calculator to figure out exactly how many tons the 64th day would require. We also wanted to see if our calculations for the total cumulative amount matched the King's official mathematicians' figure. I had to open up a spreadsheet to figure out that one. With an older kid you could also try writing the amounts using exponents with powers of 2. Other fun questions to consider: How many grains of rice are in an ounce? On what day could we use the amount of rice to feed our family? Our city? Our country? Other books that tell the same story: One Grain of Rice by Demi, The Rajah's Rice by Barry, and A Grain of Rice by Pittman. We also love the Chinese tale Two of Everything , which involves doubling as well. How to share 3 cookies among 4 friends? 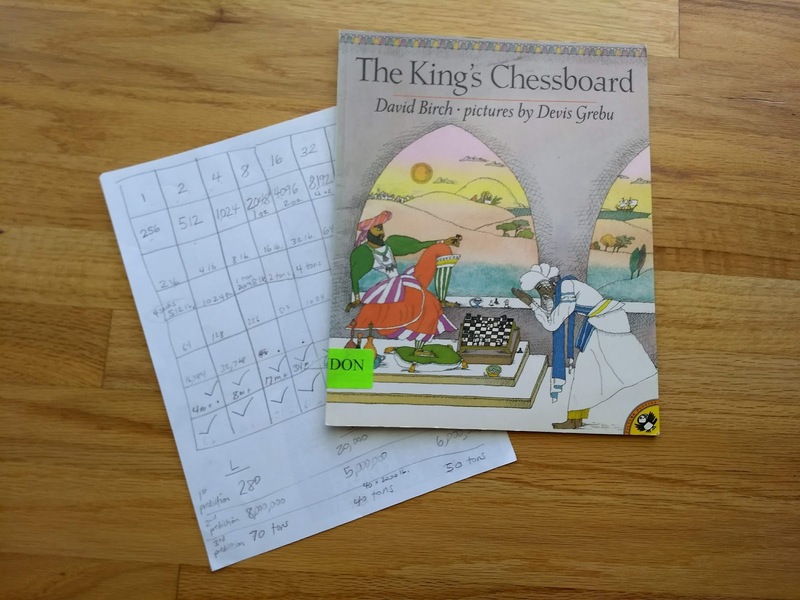 I try to pair a picture book and quick math activity about once a week during Morning Time. The Cookie Fiasco was short, funny and perfect for all three of my kids (6, 8, 10). We stopped part way through and each drew how we would share. 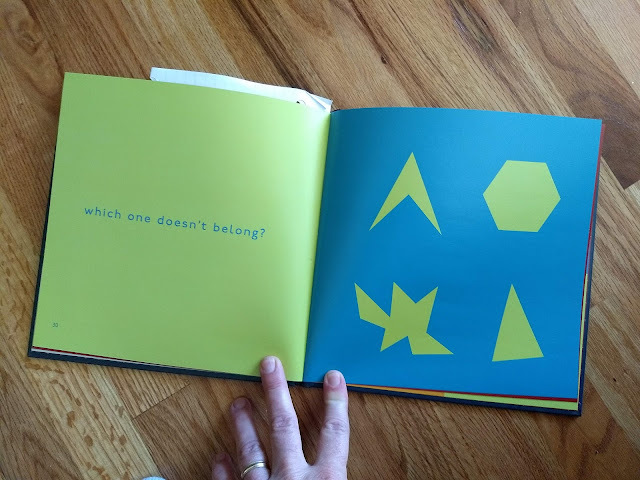 Here is one of our favorite math picture books to read during morning time, when I have all my kids together. One of my favorite ways (besides getting outside!) to nurture in my kids a connection with the natural world is through books! 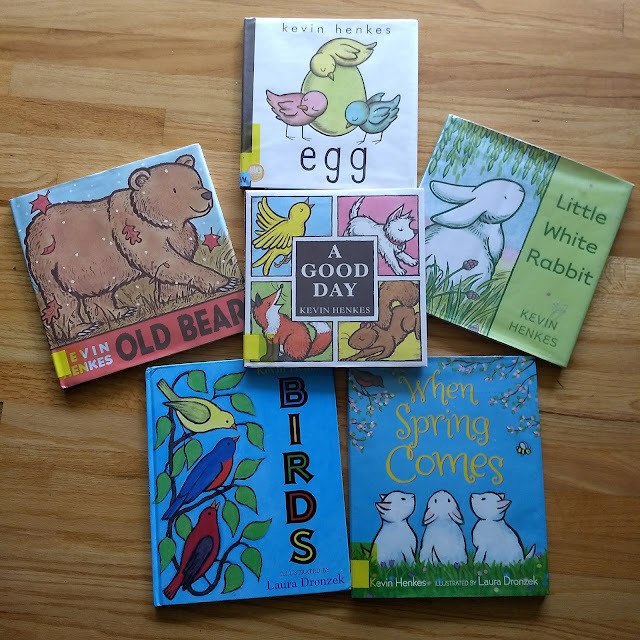 In this post I share some favorite picture books by Kevin Henkes that are perfect for celebrating the return of spring. These books have simple but lovely text and illustrations. All three of my kids have enjoyed these titles, but I especially love that my 6yo, a beginning reader, can read these titles with a small amount of help from mama. I try to have her read a book to me each day, and while there are many wonderful easy readers, sometimes it is fun to read a big lovely picture book together instead. Many of these titles are available in both large hardcover and board book formats. 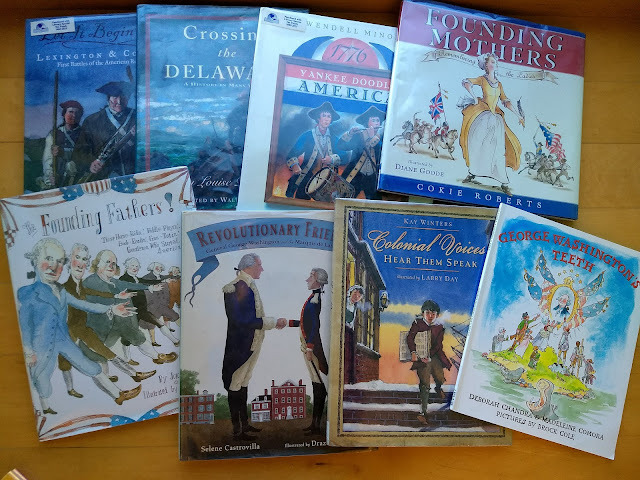 This past fall my three children and I spent months immersed in the American Revolution. This was in large part due to the amazing number of fabulous children's picture books about the period. Every week I brought home armfuls of new books from the library. The following list represents the cream of the crop out of the dozens and dozens of picture books we read, the books most beloved by me and my three kids (10, 8, and 6-years-old). All were read aloud by me to my book-loving, squirmy, silly children on the sofa. Many of these picture books feature additional fascinating historical information in the endnotes. We often read aloud these pages as well! I am an unexpected homeschooler with kiddos 11, 9, 7. Good news is we all love books. In my past life I was a policy analyst and bilingual elementary school teacher. Here I share our favorite books, games, and experiences.